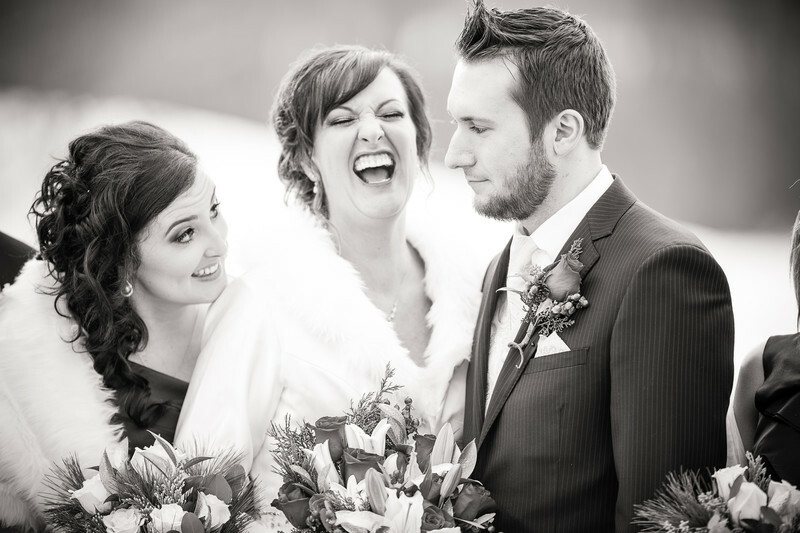 Just a moment of laughter between the bride, groom and her sister after their wedding at the Green Bay Botanical Garden. This wedding took place in January. Winter can be a wonderful time for weddings. It can make for some pretty unique photographs with the snow and the lovely low light that seems to hang around longer in the winter. 1/320; f/2.0; ISO 160; 200.0 mm.